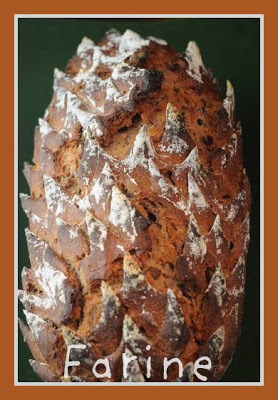 This chestnut bread is the first recipe I make from the book Crust by Richard Bertinet. I have had the book for close to a year, I have looked at the gorgeous photos quite a few times but I have never watched the DVD that comes with it and never baked from the recipes. What turned me off, I think, is that the bread that “talked” to me the most was the one he made with Cabernet grape flour. I was longing for this incredible purple crumb and imagining the taste but, first of all, when I checked, the flour was out of stock and then, when it was back in stock, it was so expensive (and shipping was extra) that it just wasn’t worth it. I must have been sulking because I didn’t open the book anymore. But last time I was in Paris visiting my mother (she lives 5 minutes away from a fantastic health food store), I bought some organic chestnut flour and I remembered it when I saw Trader Joe’s vacuum-packed steamed chestnuts the other day. I don’t know about you but if there is one thing I won’t do is cook and peel a large number of chestnuts. 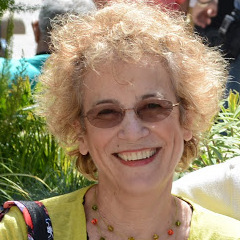 In my youth, whenever my mom made her signature chestnut milk soup – so delicious! – we had to prepare everything from scratch and I figure I have enough hours of chestnut peeling behind me to last me a lifetime (the white skin inside is the worst!). No more, thank you! So Trader Joe’s to the rescue, as usual! Armed with chestnut flour and steamed chestnuts, I started looking through my books for a recipe and Crust practically jumped at me from the shelf. I guess time-out was over, I was done sulking and ready for something new. So here it is. 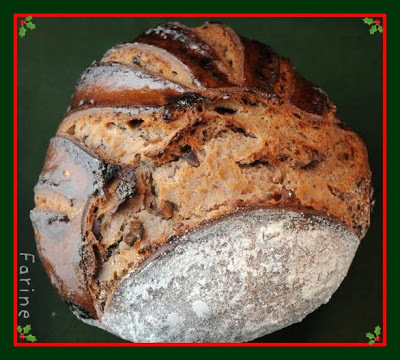 Bertinet’s chestnut flour bread! One dough, four shapes and a lot of fun! Here are the four shapes that Bertinet suggests. His loaves are beautiful but I wanted something a bit more holiday-ish (I won’t have much time to bake before Xmas as I’ll be barely be back from visiting my mom), so I tried different things. The “chestnut” one was “de rigueur” to go with tiny tots (we have plenty of those) and Santa (which we have too as one of our menfolk is always called upon to put on the costume, the beard and the hat and to ring the doorbell, whereupon the tiny tots usually start running for cover, unless this year they finally figure out that Santa sounds strangely familiar, even if they can’t see his face too well behind all this white hair). Anyway I also wanted to make a loaf that looked like a chestnut. I don’t think I really succeeded. First of all, the scoring opened up much more than I thought it would, then the shape isn’t quite right but who will notice? (I used molasses to get the glazed look in case you are wondering. My family loves molasses, so I won’t get any complaints but if you want to make the bread and don’t like molasses, you may want to start thinking of alternative glaze). 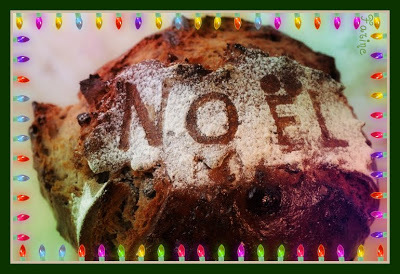 And finally I made a Christmas carol loaf. I had cut out paper stars which I stuck on the loaf before dusting the whole thing with flour but they disappeared during the baking, swallowed up by the huge chiasms that opened up wherever I had scored. Since it was my first time ever baking chestnut bread, besides playing with the shapes, I pretty much followed the recipe (except that I used my mixer and Bertinet does it by hand). The only real thing I changed is that I made the pâte fermentée (basically “old dough”) with liquid starter instead of commercial yeast. That’s it. Everything else is the same, down to the last gram of water. I wasn’t really too sure what to expect, water-wise, since I don’t know whether or not the recipes in the book sold in the US had been re-tested with American flours (somehow I doubt it) and I know nothing about British flours. So I reserved a fair amount of the water (more like 15% than my usual 10%) but I ended up putting it all back in. The chestnut flour sold here (I know Whole Foods carries one from Italy) may absorb more or less water than the one I brought back from France. So exercise caution with the water amount. It is always a good idea anyway. Because of the pâte fermentée, this bread is made over two days. These Chestnut Flour Breads go to Susan, from Wild Yeast, for Yeastpotting. « Doesn’t this take the cake? 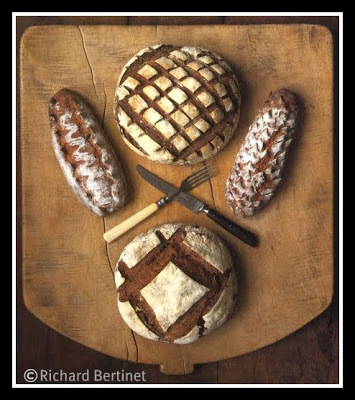 I also have Bertinet's book and I definitely had the chestnut bread in my to-do list! I will follow all your advice, thanks! @Miriam, thank you for coming and let me know how it turned out if you try the bread! Chestnut flour and I don't get along, since the days of a chestnut cake my mom used to make that tasted awful to me. 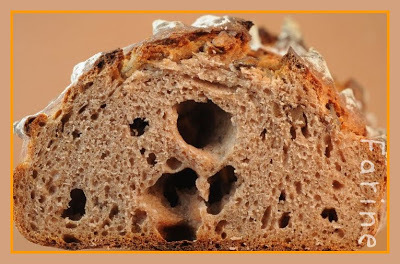 I would be very weary of trying this bread, even though it looks fantastic. I love chestnuts on the other hand, I made a chestnut lentil soup that was delicious last week. @Laura, I had a very similar experience with an awful chestnut bread which tasted like (cheap) soap and put us all off chestnuts for quite a while. I think the chestnut flour is a huge factor of the taste in this recipe. Unfortunately the only way to find out is to try! Hi MC, what beautiful colors you've got there! Ab Fab. One question: chestnut flour is gluten free, right? Or, is this a silly question? @Shiao-Ping, thank you! 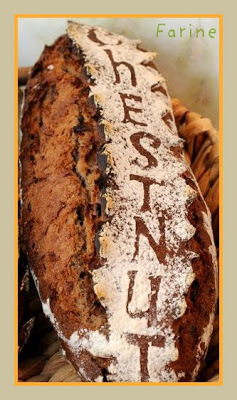 Yes, chestnut flour is gluten free but this bread is not, because of the wheat. Wow! Beautiful breads as usual! I especially love the chestnut shaped bread. Just gorgeous! I know what you mean about fresh chestnuts. They are delicious but horrible to peel. I used fresh chestnuts for stuffing one year due to cost. All I could find in cans were imported chestnuts and they cost a fortune so I figured I would use fresh and roast them myself. 45 minutes later with cuts all over my hands I vowed never to do it again! but what intrigues me is the chestnut milk soup. Hmm, what is that??? Is it a traditional French soup? @Mimi, what an experience! I wonder how our parents and grandparents did it. Maybe they had a trick? @Anonymous, I don't have my Mom's chestnut soup exact recipe and now I can't ask her as she has forgotten much about cooking but as I remember it, it went like this: the chestnuts were peeled (that is to say the shiny brown "skin" was removed), then set to boil with just enough water to cover them for thirty minutes, then drained and cooled. When cool enough to handle, the second skin (the clinging one) was removed (we had to take care not to break them and it wasn't easy), then my Mom poured cold milk and a pinch of salt over them and set them to simmer (not boil) on the stove for another thirty minutes. I can't remember if we ate that soup with sugar, or not. Maybe both, because I seem to recall both tastes distinctly. I don't know if it was a traditional French recipe, probably a regional one.My mother comes from a part of France well know for its delicious "marrons". So I bet the recipe is one she grew up with. @Stefanie, do you live far from the French border? If you don't, maybe on a trip to one of the Xmas markets in the Alsace, you could stop by a health food store and stock up. I bought mine from Biocoop. It's a chain of health food stores and they have an amazing and wonderful assortment of flours and grains. Wow. Beautiful breads! You definitely make me want to try baking with chestnut flour. Thank you! So glad I fell upon your site today! I recently bought chestnut flour and only found recipes for crepes and a cake. I forgot I had a copy of "Crust" so I dug it out! When the Xmas rush dies down……. @Allison, try it and let me know! I just tried my first stint with chestnut flour, but I was put off by the very smoky smell. Was your chestnut flour smoky? Hi, Linh, no, my chestnut flour was not smoky. But since I made this bread, I read in an Italian cookbook that in Liguria (Northern Italy), chestnut flour is used to make pasta and valued for its smokiness. Does your flour come from Italy? Mine came from France. Yes, my chestnut flour was imported from Italy. I guess that would explain it. I guess chestnut bread will have to wait another day. Thanks for responding! Sorry about that, Linh… Whereabout do you live? I live near San Francisco and I go to the San Francisco Baking Institute with Susan from Wild Yeast. Linh, email me your mailing address if you like. I have enough French chestnut flour left to send you the 400 grams you need for the recipe. I made crepes from chestnut flour, but they taste really strange. It tastes like there is sand in the flour……Is that normal? My chestnut flour is imported from France. Hello Anonymous, no, it isn't normal for chestnut flour to taste like sand. Where did you get your flour? I got mine in Paris at a Biocoop store and it was just fine, taste and texture-wise. I wouldn't know about other brands.